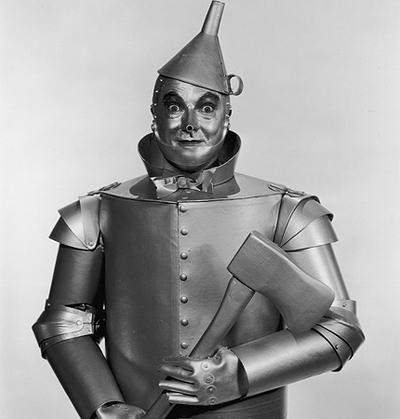 Make your own Tin Man from the Wizard of Oz for Halloween. Trace out your sieve interior on a sheet of cardboard. Draw a circle around it 2cm diameter all around. Cut out the centre hole in cardboard, align and glue. Remember to leave holes where your string will pass through. Roll out your alfoil and cut a hole in the base to align with the sieve. Add glue and fold over the cardboard brim. 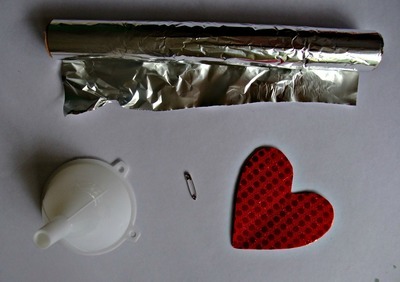 Add more glue to another sheet of alfoil and glue it on all the way around. 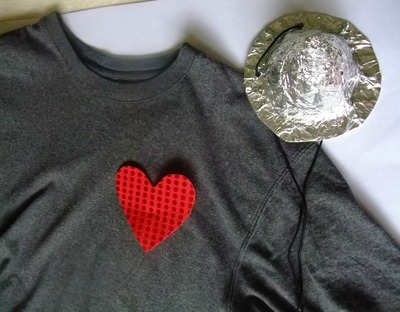 Cut out foam glitter heart and pin to grey Tshirt. A good outfit for dad! Paint silver face, add axe and you have your tin man for Halloween.